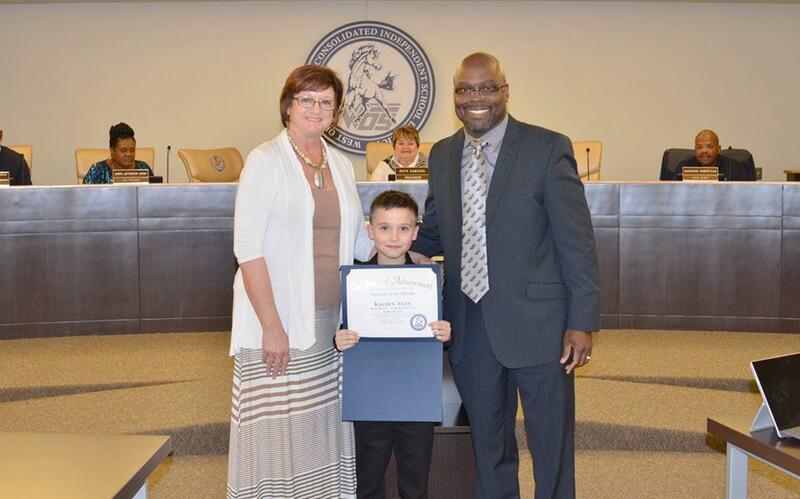 September 2015 -Congratulations to the West Orange - Stark Middle School Student of the Month, Willy Renolds. Willy was honored at last night's WOCCISD School Board Meeting! 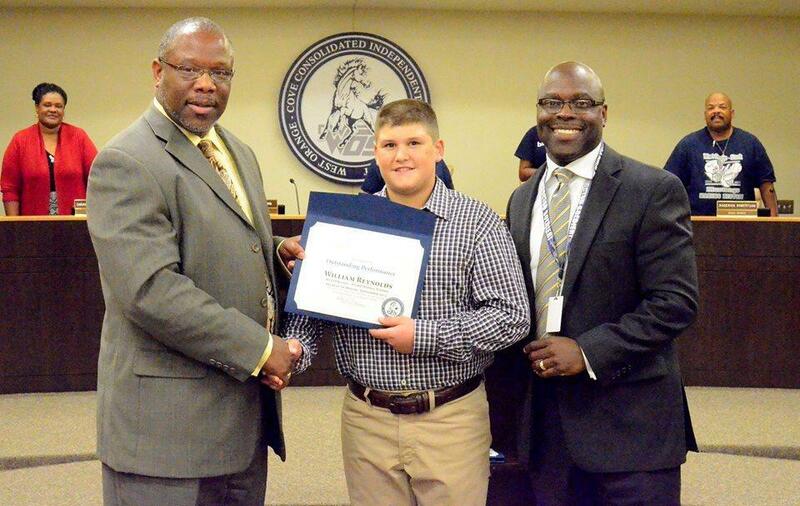 He is pictured with WOS Middle School Principal Anthony Moten and WOCCISD Superintendent Rickie Harris. 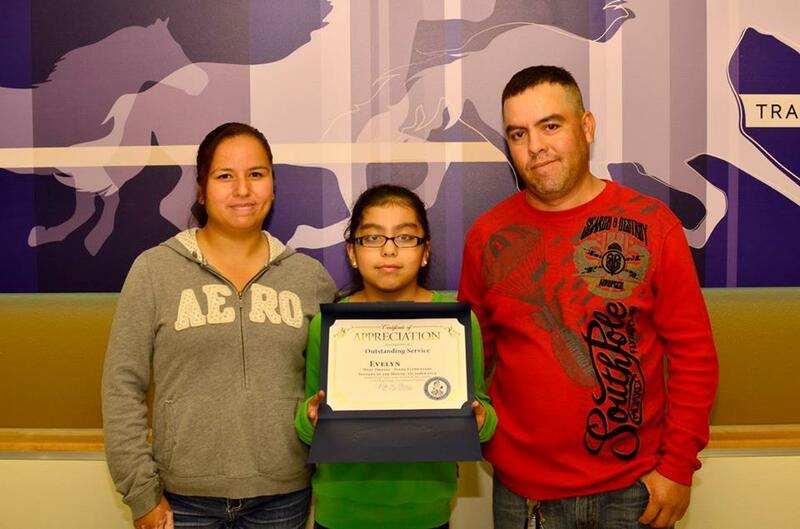 October 2015 - Evelyn Jasso The October 2015 Outstanding Student of the Month and her parents: Great job! November 2015 -Mic'Hael Sterling he November 2015 Outstanding Student of the Month, Great job! 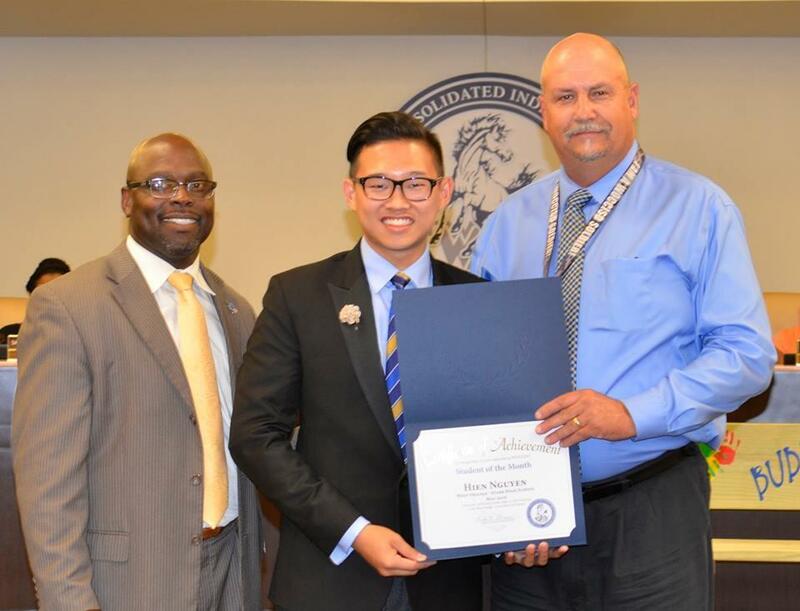 May 2016 - Congratulations to West Orange - Stark High School foreign exchange student Hien Nguyen. He was recognized at this week's School Board Meeting as the WO-S High School Student of the Month! 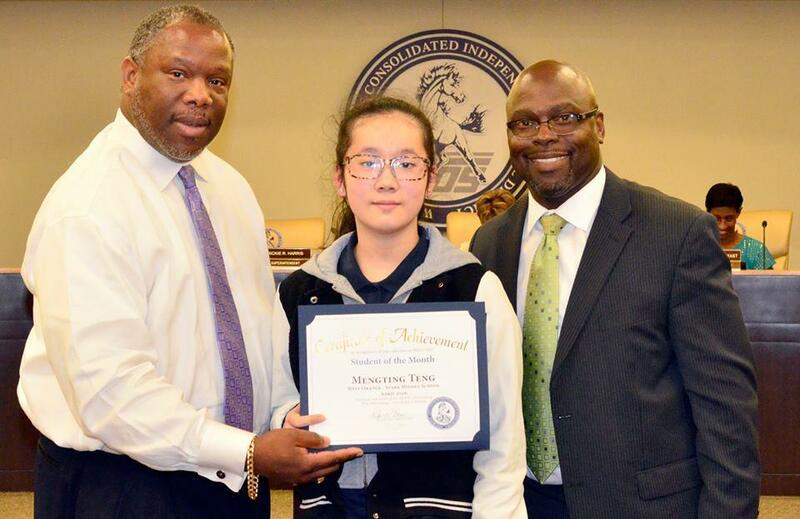 April 2016 - Congratulations to West Orange - Stark Middle School student Mengting Teng for earning recognition as the Student of the Month! March 2016 - Congratulations to Kellen Hebert for her recognition as Student of the Month! She is a five year old student in Mrs. Woodard’s North Early Learning Center classroom. She is courteous, reliable, and helpful. She is the Day Care Van Clipboard Secretary – she makes sure everyone is present and up ready to load, she also helps get students seated in the van. Kellen has good attendance, she works hard at learning every day. Kellen is an awesome student! 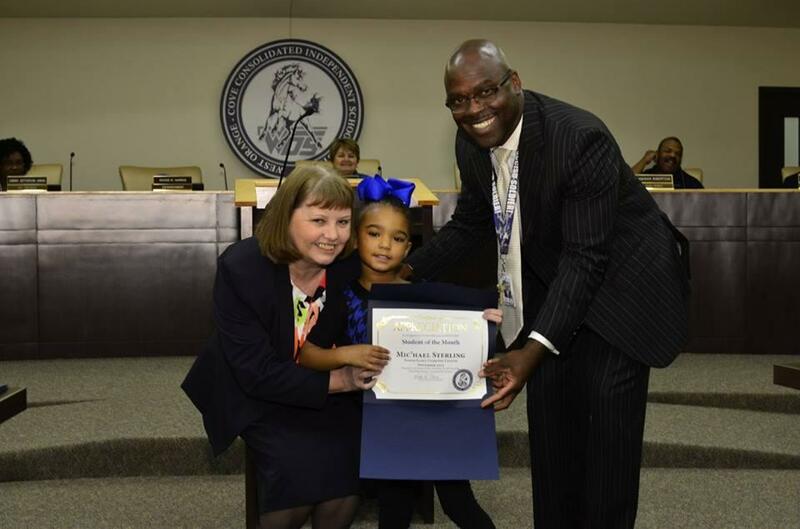 February 2016 -West Orange-Stark Elementary honored an outstanding student. Congratulations to this honoree Kaiden Aven (Student of the Month). 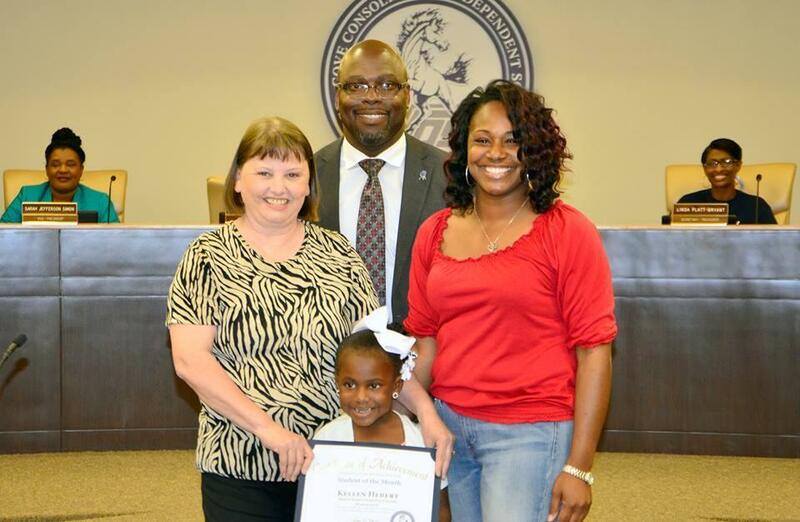 Honoree is pictured with Principal Glenetta Henley and Superintendent Rickie Harris.